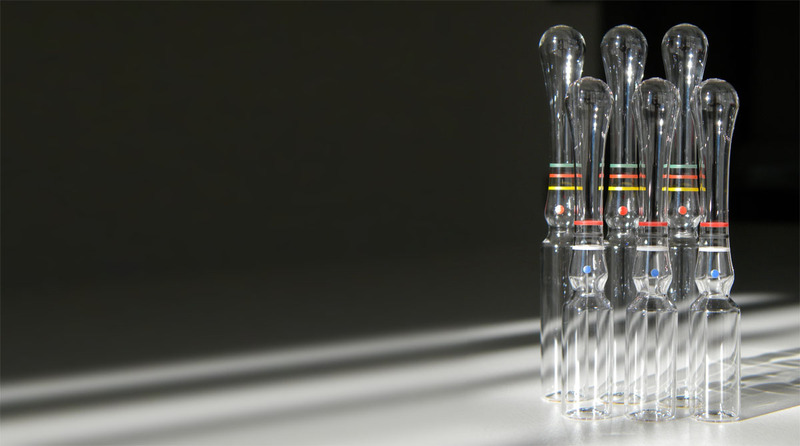 Crestani runs not only high quality ampoules, whose technology has since been renovated and is in continuous expansion, but also deals with a very specific product line as in siliconed vials. Like ampoules, vial productions are made to provide a concrete answer to the specific and precise needs of the market. For a few years now this market has received all the professional care and constant attention of technicians as well as marketing force.